This William Still mug is part of a collection of African American and Civil War biographical mugs. An image of William Still and a short biography are features of this history mug. William’s mother was a runaway slave from Maryland who fled to New Jersey in order to join her husband. William Still was born in New Jersey and under state law, a free man. He had 17 brothers and sisters. In 1847, William started work as a clerk in the Pennsylvania Anti-Slavery Society. He became a ‟conductor” in the Underground Railroad. As many as 60 escaped slaves a month passed through his station. William kept a journal in which he recorded the dates, names and biographies of those who passed through his Philadelphia home on their way north. He is often called “The Father of the Underground Railroad.” In 1872, he published The Underground Railroad Records, a book that helped reunite family members separated when they fled the South for freedom. This William Still mug is part of our African American Series and Abolitionist series profiling outstanding men and women who have helped shape our country in important and positive ways. The biographical History Mugs were created to teach and inspire individuals to learn about our diverse and interesting history. The biographies were researched and written by history enthusiast, Robert Compton. He colorized most of the historic photos and images used on the mugs, which were originally black and white or sepia tone. The images and biographies are imprinted on mugs at his studio in rural Vermont. 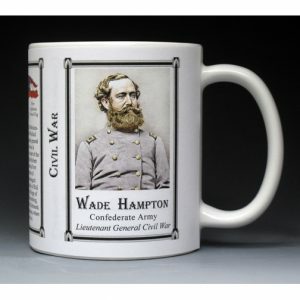 This Wade Hampton mug is part of our collection of Civil War biographical mugs. An image of Wade Hampton and a short biography are features of this history mug. This William Hardee mug is part of our collection of Civil War biographical mugs. An image of William Hardee and a short biography are features of this history mug. The Frederick Billings mug is part of a biographical series profiling unique individuals who shaped the history of Vermont. 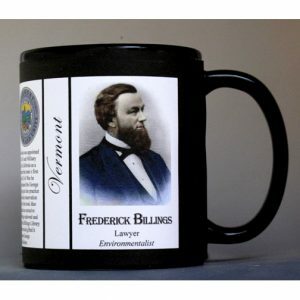 An image of Frederick Billings and a short biography are features of this history mug. 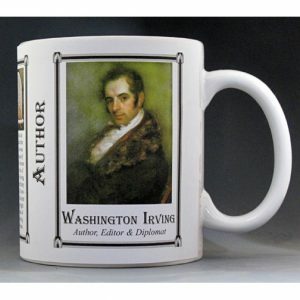 The Washington Irving mug is part of a biographical series profiling unique authors and includes an image of Washington Irving and a short biography. 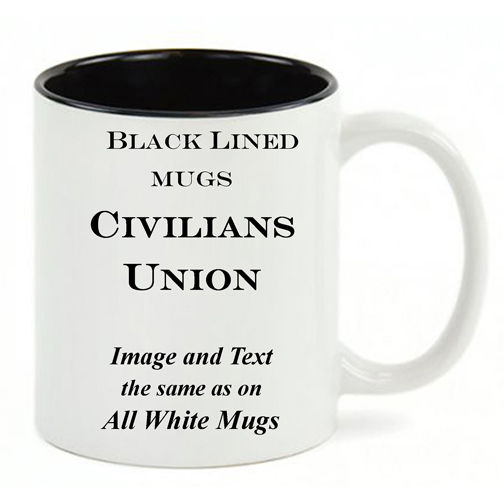 This Roger Taney mug is part of our collection of Civil War biographical mugs. An image of Roger Taney and a short biography are features of this history mug. The Edgar Allan Poe mug is part of a biographical series profiling unique authors and includes an image of Edgar Allan Poe and a short biography. 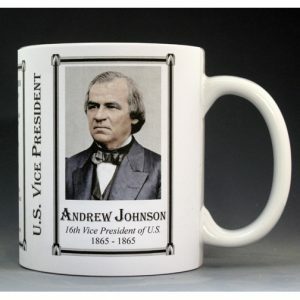 This U.S. Vice President Andrew Johnson History Mug is one of a complete collection of U.S. Presidential biographical mugs. An image of Andrew Johnson and a short biography are features of this history mug.